TOA Volunteers View: Celebrating Women Within Cinema | Take One Action! A Volunteers View: Take One Action volunteer, Siobhan Divers takes a look at this year’s Sister’s Strand and how it connects to the conversations about women’s empowerment which are taking place right now. In a world where dystopian fictions like The Handmaid’s Tale are not far from reality for many women – women are still silenced, controlled and undermined in society – it is just as important today to empower women as it has been in the past. The insightful Gender Pay Gap revelations and the growing amount of research studying women’s representations in the popular media have been useful in raising awareness about the treatment of women, but this battle is far from over. And what better medium to celebrate women and educate the public than cinema – one of the most powerful tools we, as a society, have the privilege of utilizing. Take One Action’s Film Festival is important therefore, as it centers around social changes and how ordinary people can make a difference within the world. Alongside exploring equality, wider perspectives of critical issues, social difficulties faced around the globe, sustainability, economic and political power and difficulites faced by young people, this year’s festival also explores sisterhood and women’s empowerment. 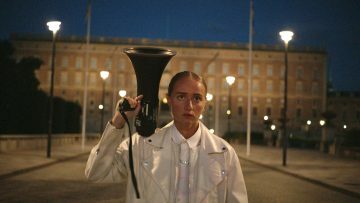 60% of the films which will be showcased at this year’s festival have been directed by women and there are five films which feature female leads: Naila and the Uprising, A Better Man, Silvana, Strike a Rock and Time for Ilhan. Here are the details for the screenings and events centering around women that you won’t want to miss! 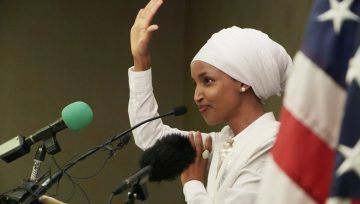 Time for Ilhan focuses on Ilhan Omar – the first Somali Muslim woman to be elected for state office in America. This documentary feature follows Ilhan’s journey through the electoral trail, exploring politics, equality and diversity. After the screening, these issues are explored further with a discussion panel of inspirational female guests: Emma Ritch, Executive Director of Engender and Talat Yaqoob, Chair of Women 50:50. Time for Ilhan is shown in Edinburgh’s Filmhouse on Thursday 13th September, 20:30 and will be screened in Glasgow’s CCA on Friday 14th September, 19:00. Silvana is shown in Edinburgh’s Filmhouse on Friday 14th September, 20:30 and will be screened in Glasgow’s CCA on Tuesday 18th September, 19:00. An honest exploration of gender-based violence and its impact, A Better Man records the life of Attiya Khan who as a teenager was the subject of physical and racial abuse. 20 years later she meets with Steve – the perpetrator of her abuse – and they visit a domestic-violence councillor, their high school and the apartment they once shared. Following this powerful reflective story, gender-based violence is discussed by guest speakers Sarah Crawford of Just Right Scotland, Laura Tomson of Zero Tolerance and representatives of the White Ribbon Campaign. A Better Man is shown in Edinburgh’s Filmhouse on Monday 17th September, 20:30. 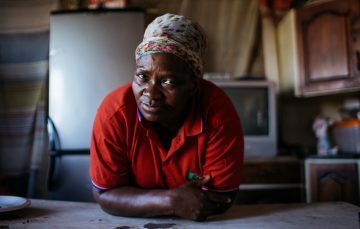 Strike a Rock follows the story of two grandmothers, Thumeka Magwangqana and Primrose Sonti, who fight for justice after the massacre of 34 striking mineworkers in Marikana. Exploring personal connections and political struggles, Strike a Rock exposes corruption through themes of solidarity, justice and friendship. After the screening, these issues are discussed further by guests Justine Atkinson and Lizelle Bischoff of Africa in Motion Film Festival and Lynn Williamson of UNISON. Strike a Rock is shown in Edinburgh’s Filmhouse on Friday 21st September, 20:30 and will be screened in Glasgow’s Gilmorehill Cinema on Thursday 20th September, 19:00. 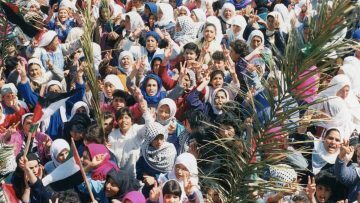 The closing film of the festival, Naila and the Uprising is a story about revolution from an unusual perspective – a feminist perspective, shedding a light on how revolutions are started, forged and organised. After the screening, the documentary’s main protagonist Naila Ayesh discusses taking action through non-violent resistance. Naila and the Uprising is shown in Edinburgh’s Filmhouse on Sunday 23rd September, 17:45 and will be screened in Glasgow’s GFT on Saturday 22nd September, 18:00. Join us and help make even the smallest difference!